Congratulations to Pacific Northwest National Laboratory's Dr. Anthony C. Janetos on being named an American Association for the Advancement of Science Fellow. The AAAS is the world's largest general scientific society and publishes the journal Science. The AAAS gives the distinction of Fellow to members who have made efforts toward advancing distinguished science applications. Janetos will be recognized in February 2007 at the Fellows Forum during the AAAS national meeting in Boston. 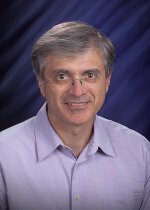 Janetos, Atmospheric Science and Global Change Division and Director of the Joint Global Change Research Institute, a collaboration with the University of Maryland, was recognized for his "distinguished contributions in ecology and biology of particular relevance to environmental policy." He is known for his research on the technological, scientific, and economic causes and consequences of global change. He contributed to the UN-convened Intergovernmental Panel on Climate Change, which shared the 2007 Nobel Peace Prize with former U.S. Vice President Al Gore. He was an author of the IPCC's Special Report on Land-Use Change and Forestry, the Global Biodiversity Assessment, and was a coordinating lead author in the Millenium Ecosystem Assessment. Janetos has written and spoken widely to policy, business and scientific audiences on the need for scientific input and scientific assessment in the policymaking process and about the need to understand the scientific, environmental, economic and policy linkages among the major global environmental issues. He served on several national and international study teams, including working as a co-chair of the U.S. National Assessment of the Potential Consequences of Climate Variability and Change. He is currently a member of the National Research Council Committee on Earth Science and Applications from Space.